We at KMS are thrilled to offer the Miller Weld-Mask Auto-Darkening Compact Welding Goggles. It’s now available for $289.95* in store and online. If you often weld in confined spaces, there’s a good chance you’ve had to work without your bulky helmet at one time or another. Yet using a hand-held lens or traditional goggles limits your visibility and doesn’t always provide enough protection for your face and eyes. 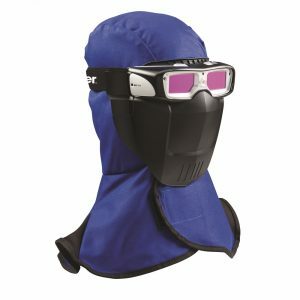 The Miller Weld-Mask combines the convenience and protection of an auto-darkening mask with the mobility and access of low-profile goggles. Plus, its snug head cover protects your face, neck and head from potentially harmful UV and infrared radiation. The Miller Weld-Mask protects your eyes, face, neck and head when welding in tight spots—under a car or trailer, in narrow crevices and corners, or anywhere a traditional welding helmet just won’t fit. The Weld-Mask’s lightweight design means it’s comfortable to wear over the course of a long work day. The head cover fits easily under a hard hat without an adapter, and its compact features allow for reduced user fatigue and easy storage. With push-button controls and a compact design, the Miller Weld-Mask provides excellent protection and visibility in confined areas. 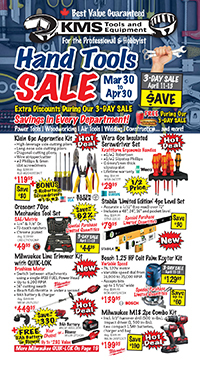 This entry was posted in Autobody, Metalworking, New Tools, Welding and tagged metalworking, Miller Welding, new tools, tool technology, Welding by Your Friends in the Tool Business. Bookmark the permalink.